Ada & Ina Natural Fabrics and Curtains Company offer custom made curtains in natural linen and cotton fabrics in Canterbury. You can easily order bespoke curtains or roman blinds online from all our fabrics. Ada & Ina's fabrics are Oeko-Tex® certified and chemical-free. We recommend that you order fabric samples before buying curtains online. Don't hesitate to contact us if you have any questions, and our Canterbury clientele are welcome to visit our warehouse to browse curtain fabrics and discuss with our experienced curtain makers. Our warehouse is based in Canterbury, Kent and our principal business is in our online store at www.linenfabrics.co.uk. 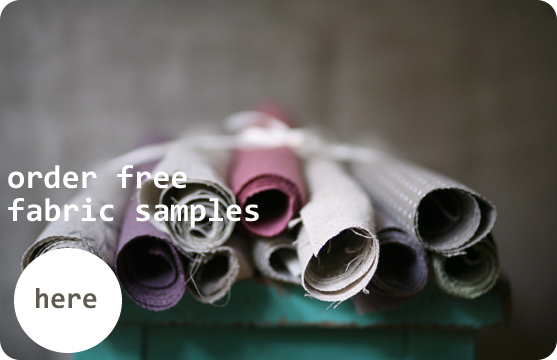 You can order fabric samples straight to your home or come visit us.